(And palmers for to seken straunge strondes). Pilgrimage is an eloquent example of a Christian culture. Our Lord, His parents, and His disciples took part in the pilgrimages established by the Old Covenant. Our brethren who follow the other faiths of the world have their pilgrimages. For us, though, who know the world redeemed and transformed by the Incarnation, it is fitting that something as mundane as making a journey becomes a reaffirmation and revival of our thanksgiving for that Redemption: every Spring a second Spring. In the Christian world, the possibilities for pilgrimage are almost limitless, with shrines the world over honouring local patron saints, miracles, or apparitions. Three major routes, though, predominate. First, to Jerusalem and the Holy Land, to pray at the very site of our Redemption. Secondly, to Rome and the tombs of Saint Peter and Saint Paul. And thirdly, to the furthest Northwestern tip of Spain, to the city of Santiago de Compostela, taking its name from the Apostle Saint James the Greater. There are good grounds for believing that his body, after his martyrdom in Jerusalem, was transported to Spain, the land of his preaching, for burial. In a strange way, this third pilgrimage route has become the quintessential pilgrim journey. There are abundant worldly reasons for going to Jerusalem or Rome, but who would make this journey, to what was once thought of as the world’s end, unless impelled by the desire of pilgrimage? 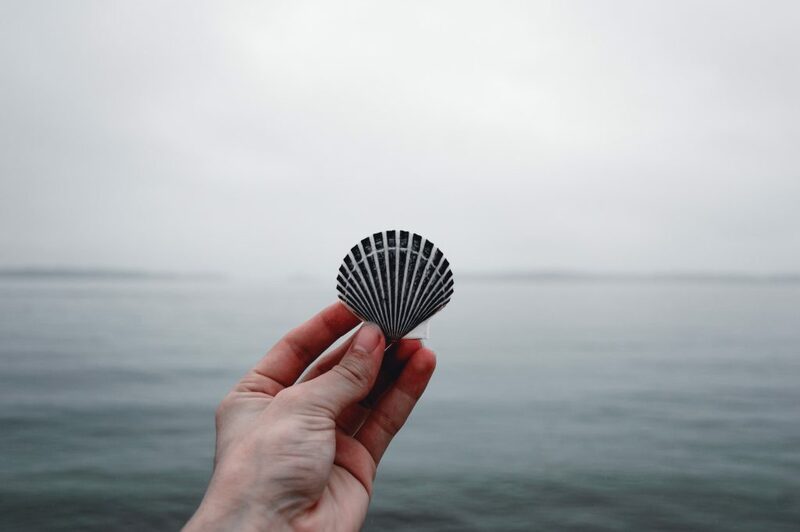 As Dante wrote (La Vita Nuova, XL): “In the particular sense, ‘pilgrim’ means someone who journeys to the sanctuary of Saint James and back.” And so the scallop shell, found on the nearby beaches, taken by Saint James’s pilgrims as their emblem, is used nowadays as an emblem of pilgrimage in general. I, Bishop of Rome and Pastor of the Universal Church, from Santiago, send to you, old Europe, a cry full of love: Come back and find yourself. Be yourself. Those pilgrims without a formal religious affiliation may feel drawn to make the pilgrimage for reasons more or less defined, perhaps recognizing the pilgrim journey as a metaphor for life. The tradition of monks, nuns, parishes, and other groups of Christians offering hospitality to pilgrims is still strong. Some have a tradition of centuries, like Roncesvalles, others seem to be a response to the words of Saint John Paul. I am thinking especially of a small Benedictine monastery in the village of Rabanal del Camino in the mountains of Leon. The four founding monks came from the celebrated monastery of Santo Domingo de Silos, which lies some way South of the Camino. Having made the pilgrimage, they asked their Abbot for permission to set up a monastery on the Camino. Benedictine monks take a vow of stability—to remain in their monastery for life, unless ordered elsewhere. These four monks of Silos did a most remarkable thing: they received their Abbot’s permission to transfer their stability to the Missionary Archabbey of Saint Ottilien, in Germany. Saint Ottilien is a 19th Century foundation specifically for foreign missionary work. Their monks serve immense territories in Africa and Asia. Why should their Archabbot agree to accept this tiny monastery in a remote part of Europe? Why should he agree to be in that village every year on the Feast of Saint James? It can only be that he shares the intuition of Saint John Paul the Great: that the re-evangelization of Europe could take place on the Road to Santiago. The Confraternity of Saint James (www.csj.org.uk) has its offices and library in London, at the Anglican Christ Church, 27 Blackfriars Road, SE1 8NY. Tel. 020-7928 9988. Thursdays are Open Days. American Pilgrims on the Camino (www.americanpilgrims.org) are at 120 State Avenue NE #303, Olympia, WA98501. Efax 1-650-989-4057. William Griffiths is a former Chairman of the Confraternity of Saint James, and a current Trustee of the G.K. Chesterton Library in Oxford. He and his wife serve as hospitaliers at a pilgrim hostel in France.